-Nope! But it is highly recommended, to avoid a miscount! I didn't finish the WOD underneath the 12min time-cap. What's my score? -Great question! You need to add one second (:01) to the 12min cap for every rep left unfinished. Do I need to submit a video when I submit my score? -Athletes attempting to qualify for WZA Miami are strongly recommended to videotape their workouts. Although video submission is not required at the same time as score submission, it is highly recommended. 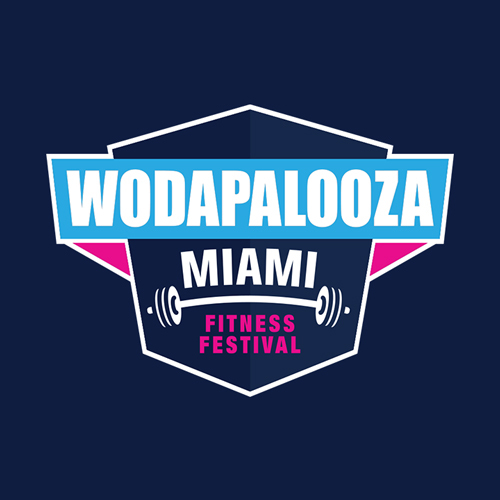 If an athlete qualifies to compete on-site at WZA Miami, they will be asked to submit one to two of the workouts, as chosen by Team WZA. This also applies to athletes attempting to register for WZA Miami through Open Registration. Can I use kilograms for the WOD's? Can we have two barbells- one for WOD 2, and one for WOD 3? -Only one barbell may be used for the entire of WOD 2 & 3. Can we have someone help change our weights? -Nope! The athlete must change their own weight. For WOD 3 (1RM C&J) if I'm using kilo's, when I convert to pounds, it's a decimal. What do I do?